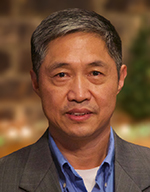 Brother Paul was born and raised in a Christian home in the central part of China. His grandfather was a preacher for over forty years. His father became a preacher the year Paul was born. Paul was saved and baptized at age eleven. When the first seminary was reopened in China in 1981, Paul was the first student from his province to study at the seminary. It was there he met his wife, Sophie. Paul and Sophie married in 1985 and have one daughter, Louisa, who was born in 1987. After his graduation in 1985, Paul served the Lord in a church in Sichaun for seven years. He then worked in a university for one year before he came to the United States to study at Dallas Theological Seminary in 1993. After his graduation from Dallas Theological Seminary in 1997, Paul served as an Associate Pastor at Friendship Baptist Church of Fairview, Texas. In December 2001, Brother Paul founded The Ark Project, a non-profit and tax exempt ministry, making disciples of native Chinese through preaching and teaching. SEND PAUL LIU AN EMAIL USING THE FORM BELOW.